We often refer to Myrtle the green sea turtle as the queen of the Giant Ocean Tank. After all, she's lived there the longest of any resident, she's definitely the most imposing at 560 pounds and she has a big personality. 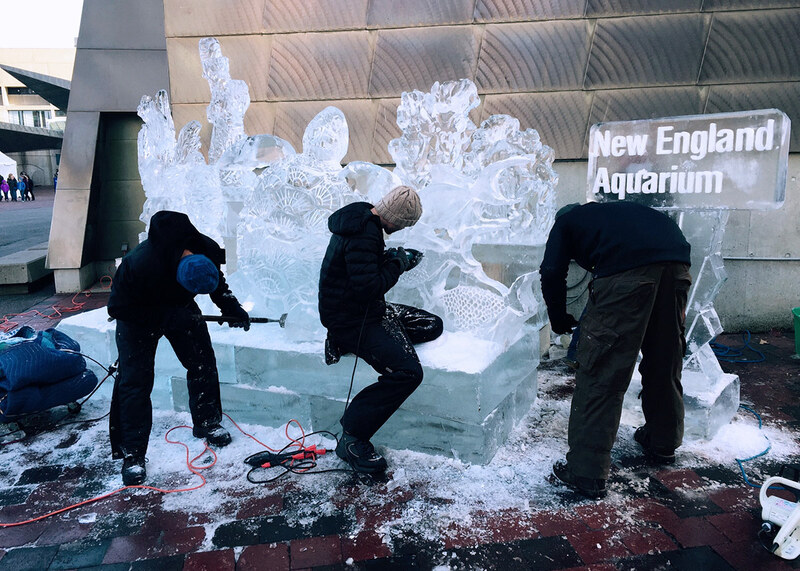 This year, the queen has a temporary place of honor on our front plaza as Boston's first ice sculpture of the holiday season! 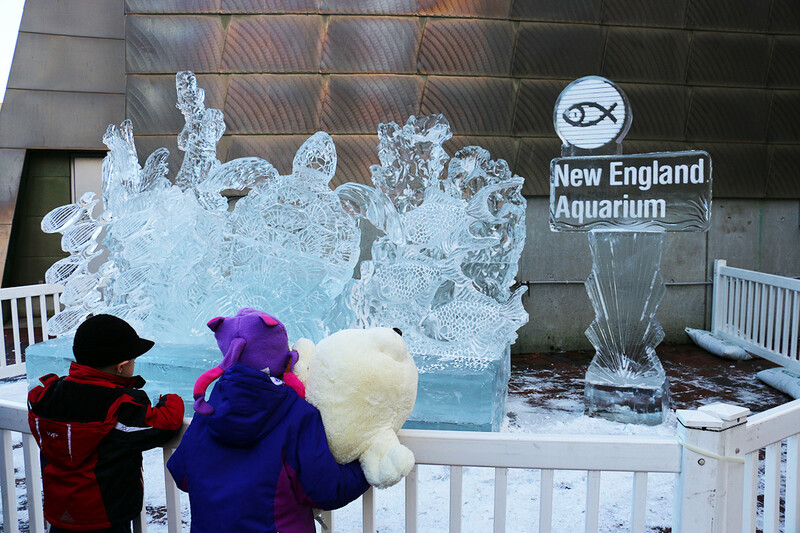 Don Chapelle, one of the principle First Night ice sculptors for many years, set about the frosty task of creating this likeness of the Aquarium's most well-known animal. The activity drew quite a crowd on our Front Plaza. 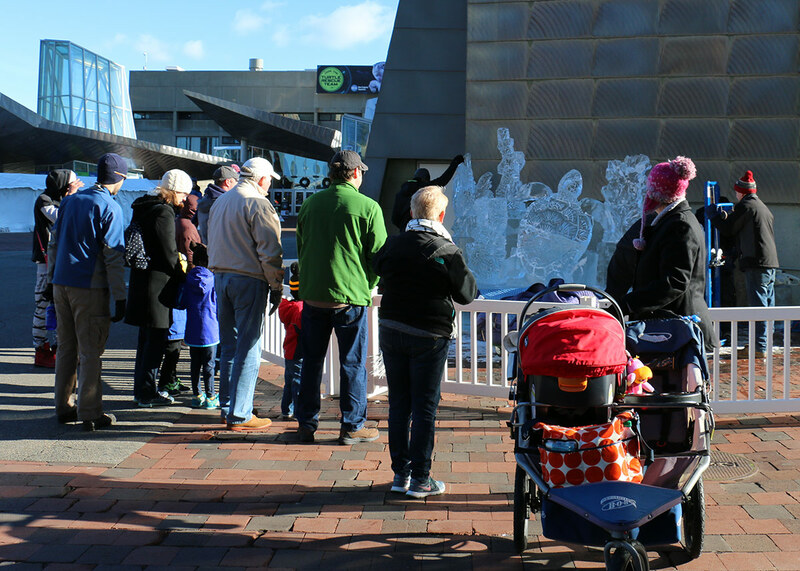 Visitors got front row seats to see the ice sculpting. 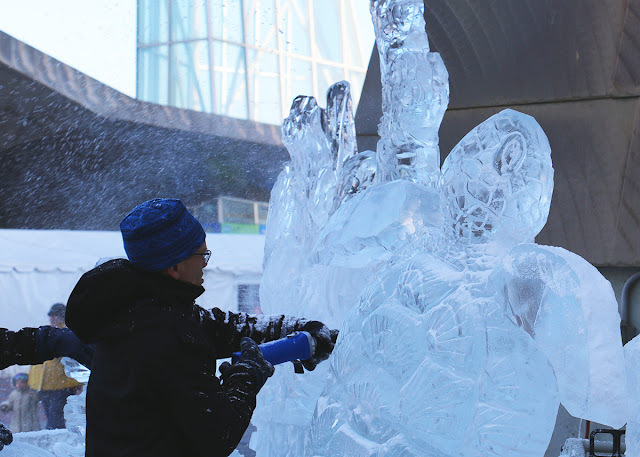 Fortunately, the cold weather arrived just in time for this wintry public art to last a little longer. The Myrtle ice sculpture will remain up throughout the vacation week. The finished work will be up all week! Come see Myrtle the ice queen at the Aquarium during school vacation! Here are our top five tips for a fantastic visit. Magnificent sculpture NEAQ team! Great job as always. 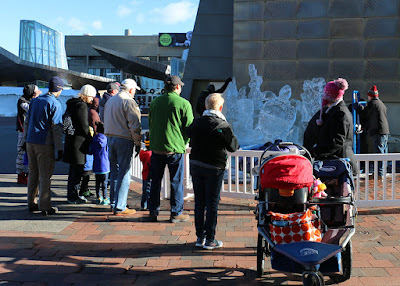 Come see Myrtle the ice queen and over a dozen other waterfront sculptures this New Year's Eve Day.